According to Marketing Solutions firm, Blue Corona, between 70 and 80% of people research a company online before visiting a small business or making a purchase with them, so it is more important than ever to make sure that you have your marketing on-point. The number of advertisers moving away from agencies and bringing their marketing services in-house has risen to record levels, and there is an increasing number of big names setting the example of bringing media buying in-house. This movement is reflected in findings by Salesforce, which state that 66% of small and medium business (SMB) owners are personally responsible for three or more of the following areas of their business: operations, finance, sales, marketing, human resources, customer service, product development or IT. Take Uber for example, which now has an in-house tech team and does its own strategy, buying, and optimisation. Investing effort and time into improving your social media presence will not be in vain. Vendasta found almost 90% of marketers saying their social marketing efforts have increased exposure for their business, and 75% saying they’ve increased traffic. While utilising social media, increasing output, and listening to customers and clients to ensure you are generating interesting and engaging content is all very important, tracking your engagement is vital to knowing what is and isn’t working. While Blue Corona found that email, website and social media are the top three marketing tools used by small businesses, with 54% email, 51% website and 48% social media, less than 30% of small businesses use website analytics, call tracking, or coupon codes, and 18% of small businesses admit to not tracking anything. As well as this, 80% of small businesses do not invest in content marketing, and experts warn that they are missing a key marketing opportunity. With content marketing comes content strategy. This is much more than creating, distributing, and sharing content in order to engage audiences, generate leads, improve branding, and other marketing goals. It needs a strategic approach. Content strategy ensures you have useful and useable content, that is well structured and easily found. This is where strategies such as Customer Related Management (CRM), Search Engine Optimisation (SEO), and Conversion Rate Optimisation (CRO) come into play. CRO is a system for increasing the percentage of visitors to a website that convert into customers or more generally, take any desired action on a webpage. CRM is an approach to manage a company’s interaction with current and potential customers. It uses data analysis about customers’ history with a company to improve business relationships with customers, specifically focusing on customer retention and ultimately driving sales growth. SEO is the process of affecting the online visibility of a website or a webpage in a web search engine unpaid results – often referred to as ‘natural’, ‘organic’, or ‘earned’ results. While only 17% are investing in SEO, 61% of marketers list improving SEO and search engine rankings as their top goal, according to HubSpot. It’s all well and good knowing the terms of every marketing strategy out there, but how can businesses really utilise these to best grow and promote their companies? Martyn Lenthall is the founder and SEO director of Bamsh Digital Marketing. In 2012, from his back bedroom, he launched his first SEO company, which thanks to a rapidly expanding client base as well as adding more diverse digital marketing products to the portfolio, has now grown to become Bamsh. Lenthall has 17 books published on website optimisation and lead generation for business websites. “The days of relying solely on word of mouth and traditional advertising are long behind us. Only a few years ago a good sized, coloured advert in Yellow Pages was enough to keep a sign business busy. Although the customers are still out there, some may say more than ever, the way to attract them to your business has changed,” says Lenthall. While the thought of Google search results, SEO and CRO can be a daunting thing, Lenthall reassures that with a degree of expertise that can be bought relatively cheaply and should deliver a return on investment, it is possible – and it all begins with your website. While the majority of sign companies have a website in some shape or other, whether it is doing the best job it can to maximise customer retention and grow business, is another question. “However you get traffic to the website through digital marketing, the website itself must have some of the ‘best practice’ to convert a website visitor to a potential customer. Otherwise all efforts and budget to drive them to your website will be wasted,” Lenthall continues. Some of Lenthall’s ‘best practices’ include making it really easy to be contacted by having your preferred contact details at every scroll point of the website; making sure your website is responsive and mobile-friendly – it was found that mobile marketing can accelerate time to B2B purchase by 20%. Add genuine customer reviews to your website to help with rankings and being found by local customers; keep the website fresh and up to date with regular new content and utilising keywords. Be found for what people are looking for. “In an industry full of technical terms, it can be easy to lose sight of the basic, general and sometimes old-fashioned terms that people might use when trying to find a sign business. Nearly three times more people search for ‘sign writers’ than ‘sign-makers’, yet most businesses would use the latter term throughout their website. “Worried everyone is buying online? ‘Sign-makers near me’ is searched almost as much as ‘sign-makers’ – people are looking for local companies and this is why Google loves to promote local companies,” says Lenthall. Social media has been rapidly gaining tract for years now, and it isn’t showing signs of slowing. Sites such as Instagram, Facebook, and Twitter are regularly used by businesses to promote products, attract new clients, and engage with customers. According to Sprout Social, 74% of businesses say they use Facebook for professional purposes and 59% of businesses with more than 100 employees use Twitter for marketing purposes. While navigating social media for your business can seem intimidating, 86% of consumers actually say they prefer an authentic and honest brand personality on social networks, so being yourself and nothing else is the best policy. Pew Research Centre found that Twitter accounts for 16% of referrals to longer articles from social sites, and 14% for shorter news articles. It’s also a great way to engage with others in the industry. Lenthall agrees with the power of social media, particularly Facebook, he says: “Many businesses still don’t realise the power of social media and this is a mistake. Facebook has in excess of 38m active users in the UK and the number is expected to rise to a number exceeding 42m by 2020. No matter if your company sells to consumers (B2C) or other companies (B2B), your potential customers are on Facebook and using it often. While driving sales (51.3%) and building brand awareness (48.4%) are the top two digital marketing priorities for small businesses, as reported by Leadpages, only 25% of small businesses invest in online marketing. This could be due to fear of costs, but online or digital marketing doesn’t have to be expensive. Businesses can start out with a small budget and increase this as sales are achieved. “If you have absolutely zero budget there are a number of activities that could get more leads. Find and claim your business’s ‘Google Maps’ and ensure that the details are correct. Add images and examples of work. 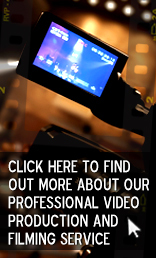 “Create videos of your work, your customers and your staff. This doesn’t require expensive equipment; your phone will do. Add these videos to your website and Facebook page. They are likely to appear in the search results and will almost certainly be shared by the companies or people featured in them,” says Lenthall. The inclusion of image and video content to a website is popular with consumers. According to HubSpot, four in five consumers say that demo videos are helpful and, after watching a video, 64% of users are more likely to buy a product online. With much of the work done in the sign industry being technical and skilled, it can be a really simple way for businesses to share with customers how their orders are being made. At HNS Signs, the team is really big on marketing. The sign company covers all angles from SEO, to social media, to using PR companies to generate publicity, and sending in stories to trade mags to create brand awareness and promote its unique selling points (USPs). By doing all these things, HNS Sign’s website ranks highly on search engines and has become a recognised brand. Utilising imagery and video is top of the list for HNS Signs, which regularly post pictures of fun and interesting projects. “We post a ‘Friday Funny’ every week. This is just a funny sign or something sign-related which made us smile. Little things like this help to attract more followers,” Imran Shaikh, team member at HNS Signs discusses the firm’s marketing strategy, and offers advice to others in the industry wanting to up their marketing game. Shaikh continues: “Marketing doesn’t have to be expensive, you can do a huge amount of it yourself (Facebook, LinkedIn, Instagram, Twitter, Website, etc.) So get posting. Just remember to keep an eye on the insights page so that you can see what works best and when. And marketing doesn’t have to be 100% online – HNS Signs has found that attending regular networking events with others in the industry to be extremely helpful in marketing themselves and getting its brand out there. “The hardest thing I found to do was networking. It took me a while to learn that attending ‘one-off’ networking events did not work for us. Yes it’s great having a leisurely lunch where you get to meet new people, but as you do not see these people on a regular basis, it is very hard to build any kind of relationship,” adds Shaikh. If you can afford it, HNS Signs recommends joining a regular group such as 4N or BNI. These work well as other members act as a personal sales team who will refer it to its contacts – and vice versa.